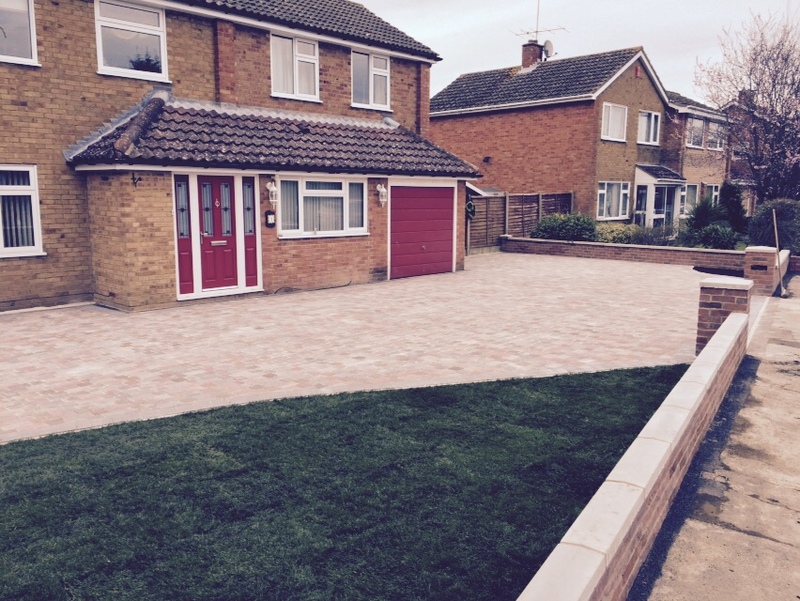 Complete front garden transformation. 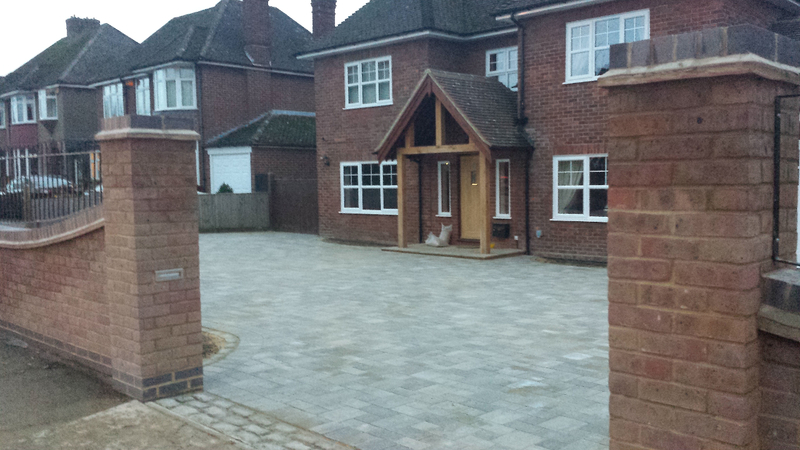 New driveway using Bradstone Woburn Rumbled Autumn block paving, Remainder of front garden re-turfed. 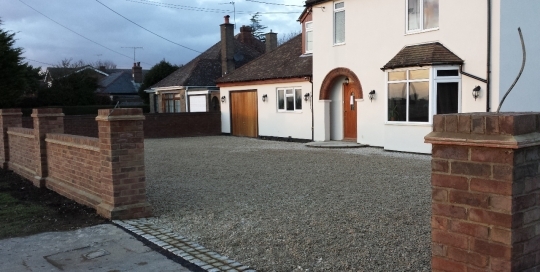 New brick wall and New fence installed. 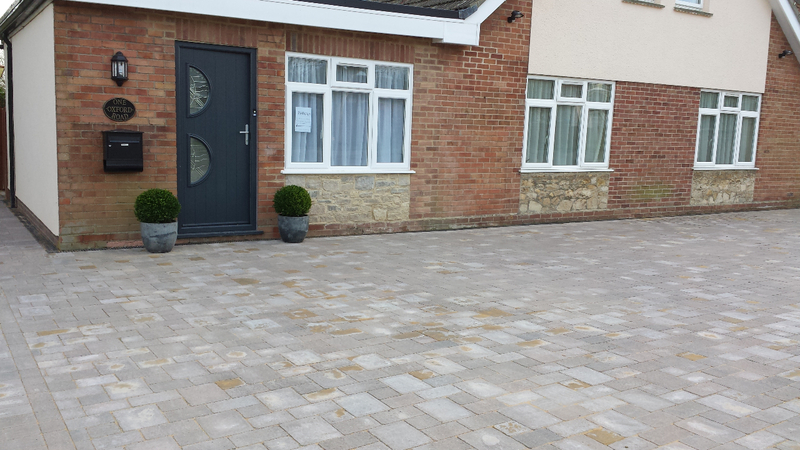 Front driveway in Silver Haze tumbled block in 2 sizes and side panel fencing. 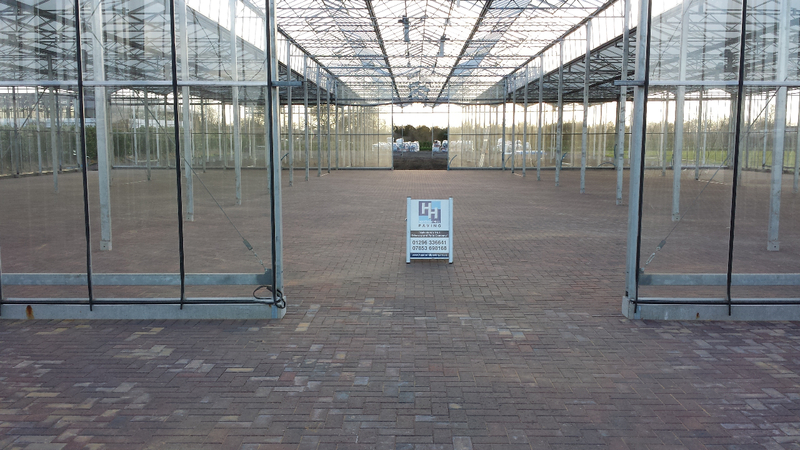 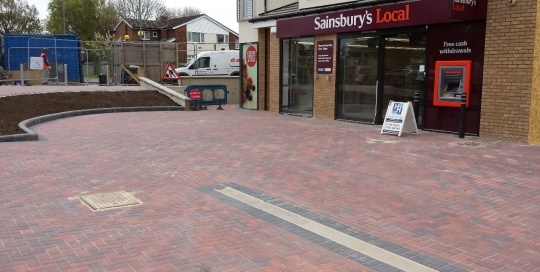 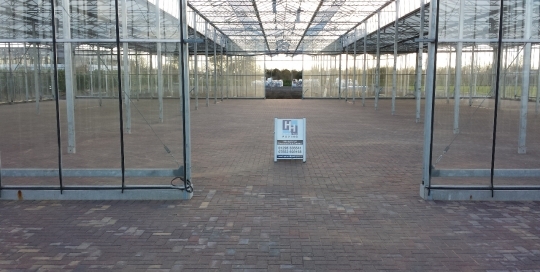 New Bradstone Woburn Rumbled Brindle block paving. 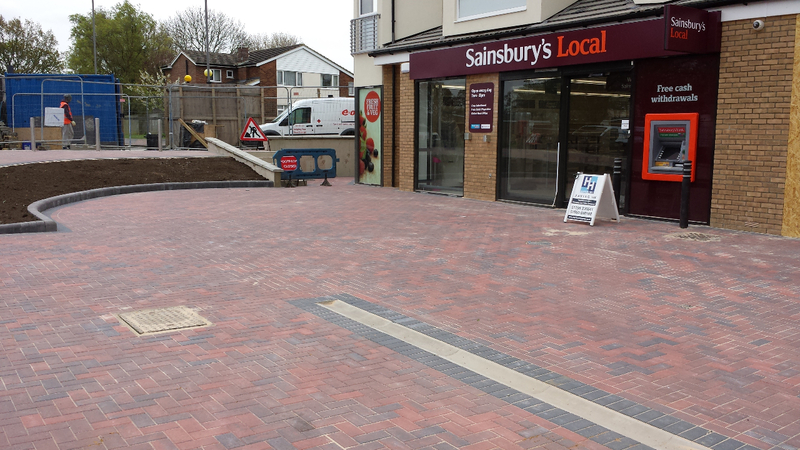 All laid after walls and railings were built. 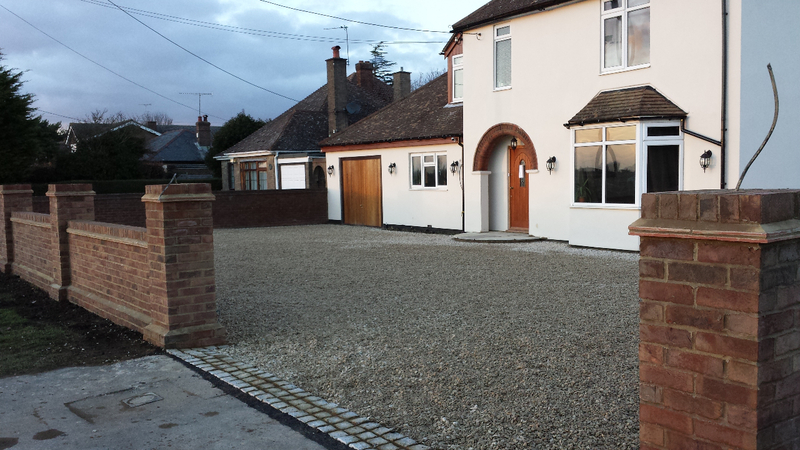 New gravel driveway using 20mm Oxford White Stone with Granite Sets around edging and main entrance. 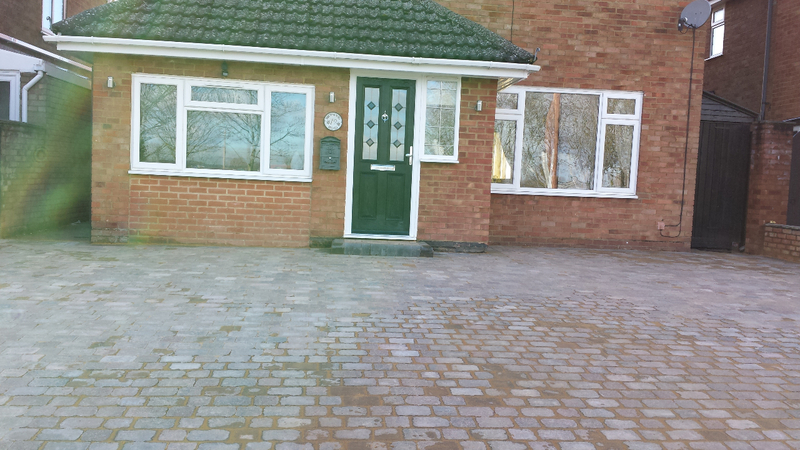 New brick wall surround and new half-moon natural stone step to front door entrance. 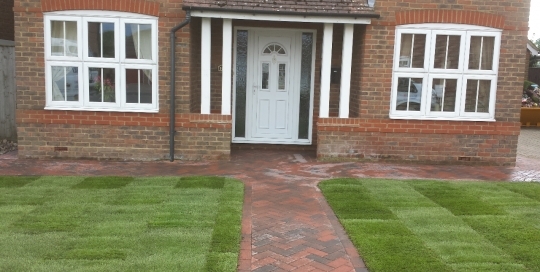 Complete front garden transformation. 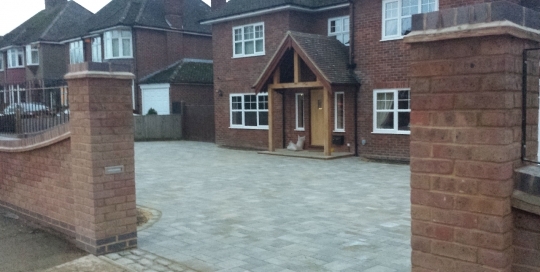 New driveway using Bradstone Woburn Rumbled Autumn block paving, with Bradstone edging stones and 20mm Oxford White Gravel. 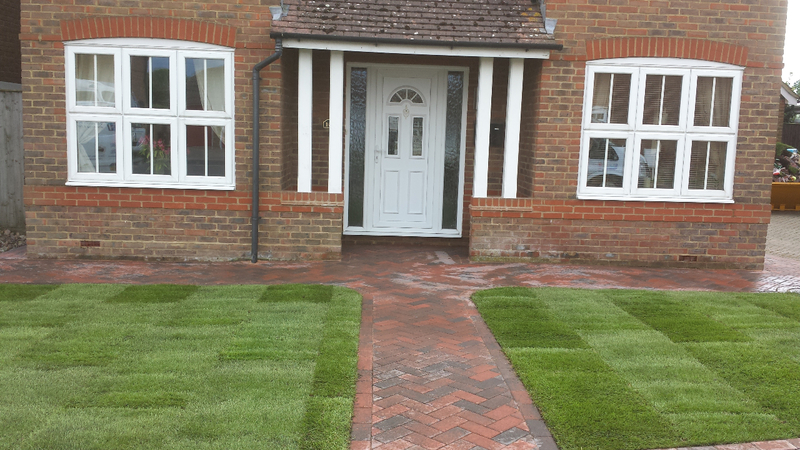 Remainder of front garden re-turfed. 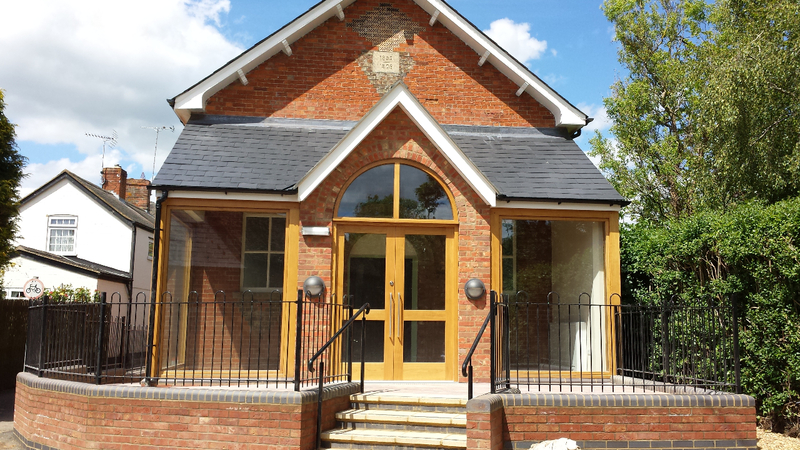 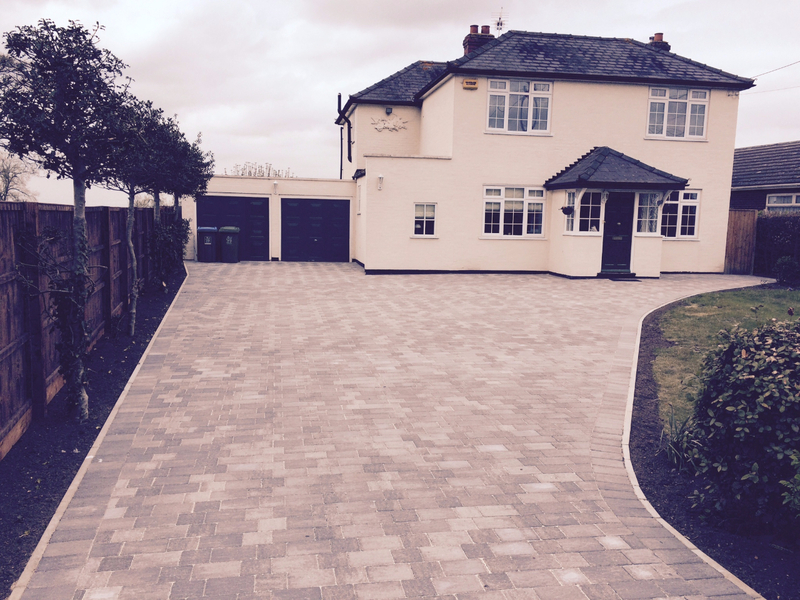 Complete front garden and driveway transformation including automated gated entrance. 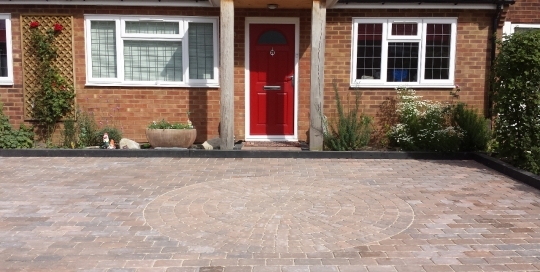 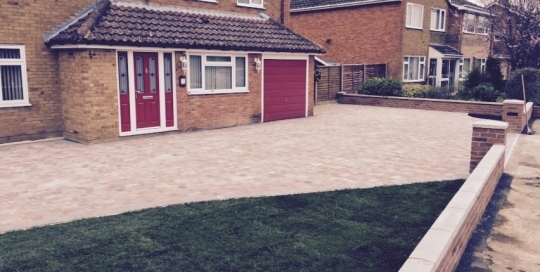 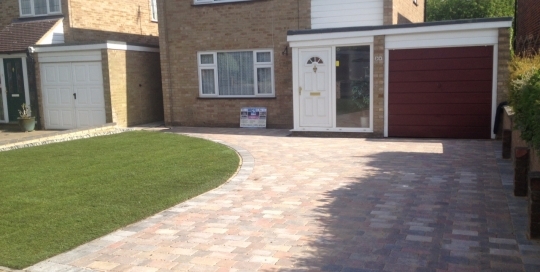 New Brett Alpha BUrnt Oak block paved driveway with Brett Bullnose Key Kerbs around border. 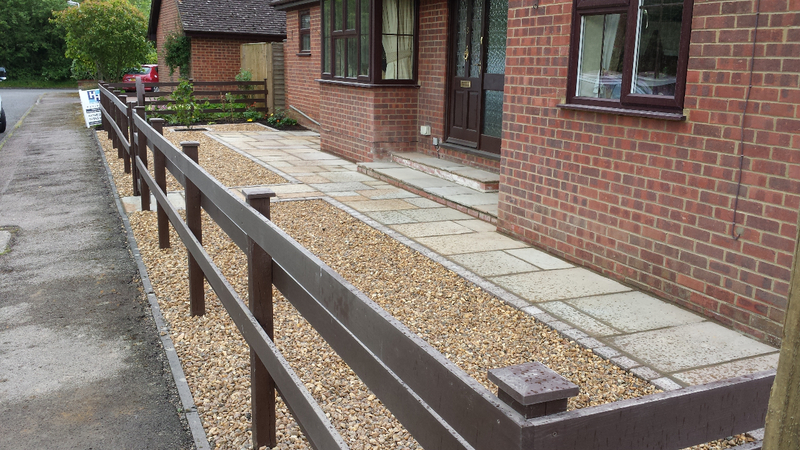 Posts and wiring for gates also installed. 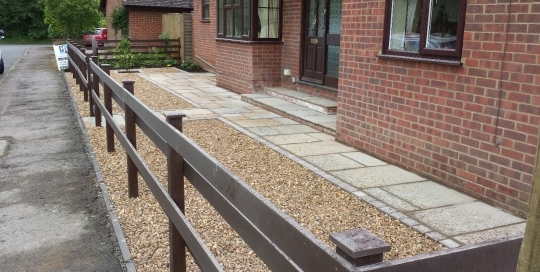 New pathway area up to front door including steps, using Natural stone slabs with block border and 20mm gravel. 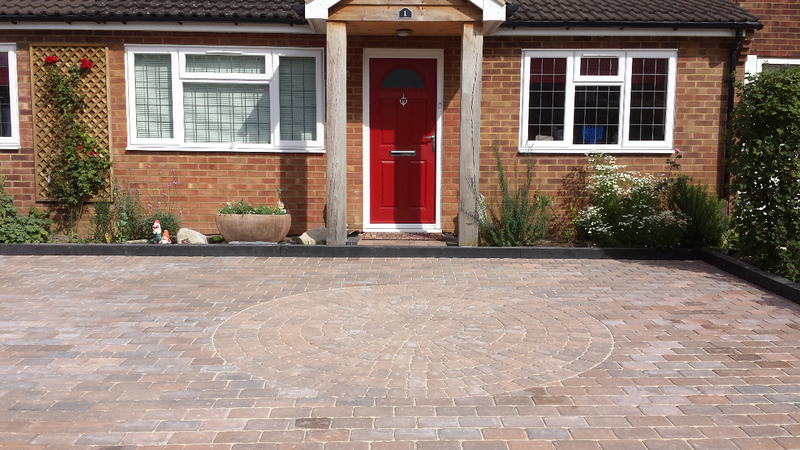 New front driveway laid in Brett Regatta block paving with 2 circle designs and pathways alongside house. 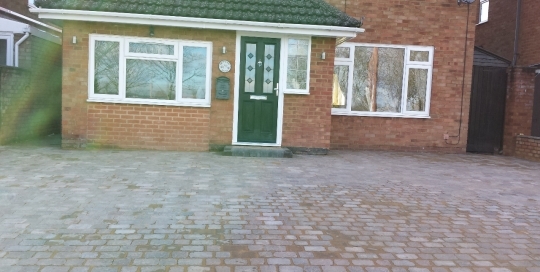 Replaced existing concrete driveway with Bradstone Woburn Rumbled block paving and new step using Brett Bullnose Kerbs. 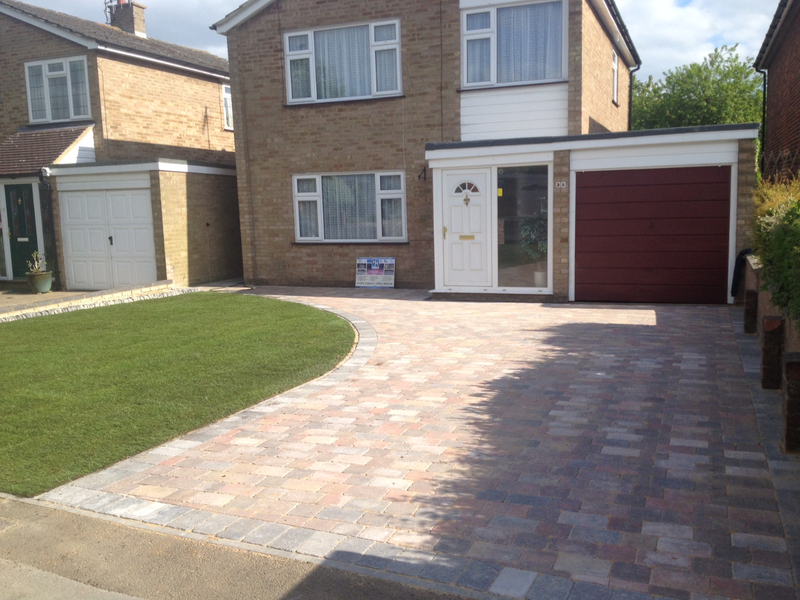 Replaced existing concrete drive way with Brett Alpha block paving (4 different sizes). 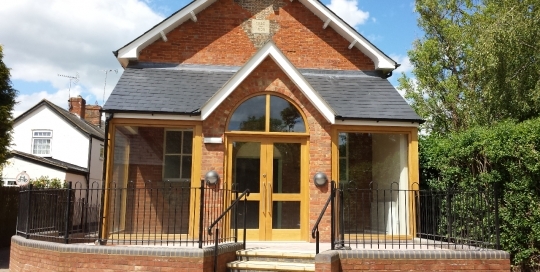 Complete front and back transformation. 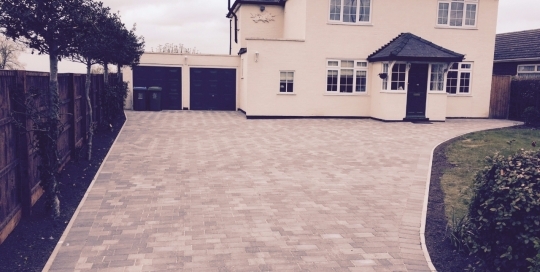 New block pave driveway using Brett Alpha Sliver Haze (4 different sizes) with Granite Sets as borders and entrance. 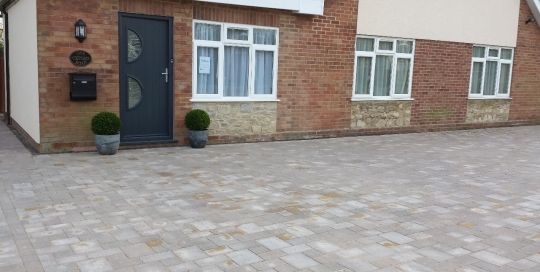 News walls built with new patio area and pathways all laid in Natural Stone Slabs.